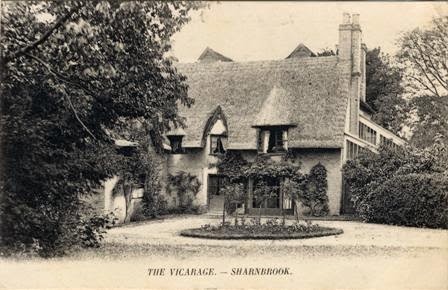 Friday 2nd October 1914: The vicar of Sharnbrook, Mr Chetwode Ram, has written about the war in the parish newsletter this week, warning that the war may be a long one and will be a “fight to the finish”. There is also talk about the possibility of Sharnbrook getting a public water supply. The water is very hard and while those living in the old part of the village have plenty of water some of the newer houses do not have good enough wells and often suffer from lack of water.